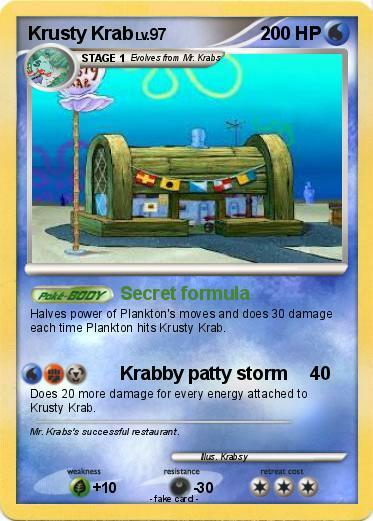 Halves power of Plankton's moves and does 30 damage each time Plankton hits Krusty Krab. Does 20 more damage for every energy attached to Krusty Krab. Comments : Mr. Krabs's successful restaurant.